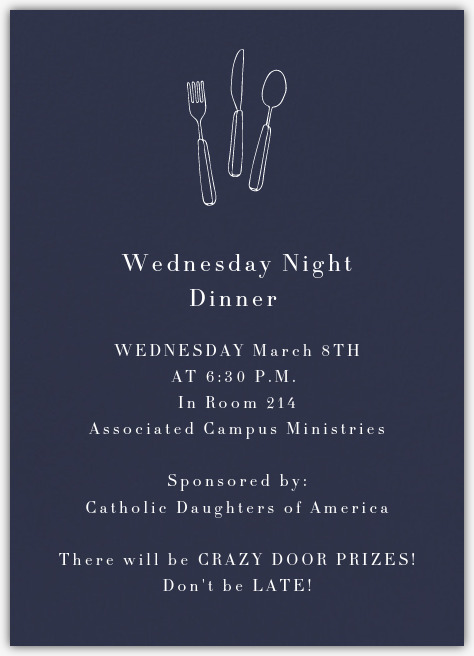 You’re invited to Wednesday night dinner! Dinner provided by the Catholic Daughters of America. We will be TAKING PICTURES for our new brochure…AND there will be some CRAZY DOOR PRIZES! COME JOIN THE FUN!